Every season has its good points and its bad points, summer is no exception. However, after suffering a cold and snowy winter, hands up if you think summer is the best season ever. For many, summer is the highlight of the year. This could be for any number of reasons. You might think summer rocks because you can’t stand the cold temperatures. You might think summer is the best season because you love outdoor activities like camping and hiking. You might also love summer because you have a boat, and it is where you spend most of your free time. There are plenty of legitimate reasons why summer is the favorite season for many of you. 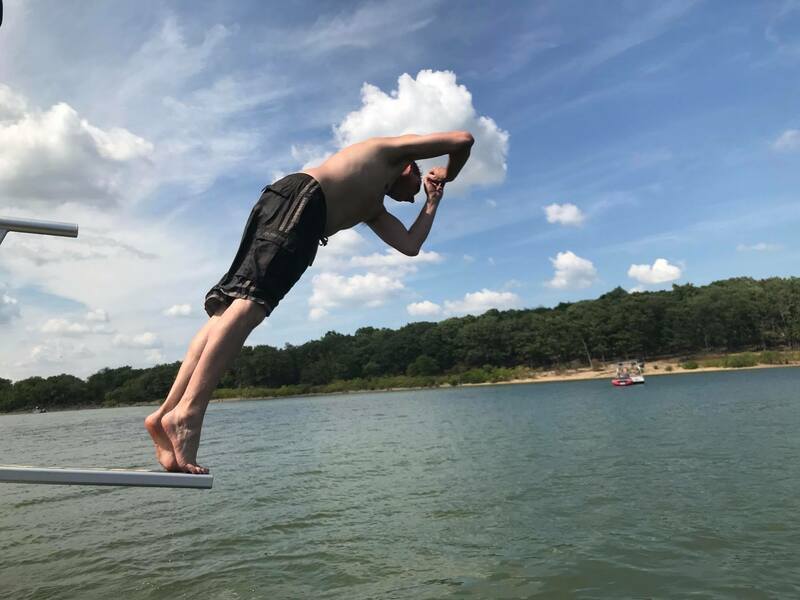 Lillipad Marine, your source for pontoon diving boards, offers the reasons why we think summer is the best season ever. If you are a student, you love summer because there is no class, school is out until fall. Come summer, you are no longer obligated to sit in class listening to a boring lecture or struggling through calculus problems. Instead of taking notes in history class, you will be sipping an iced beverage while swirling your feet in the water off of the side of your boat. And instead of staring blankly at the notes on the blackboard, you will be sitting on a beach, sun-soaked and staring at, well, whatever it is you like to stare at on the beach. Well, not no clothes per se, but fewer clothes to be sure. You just spent the last several months layering up every morning to keep yourself warm throughout the day. At first, wearing cute sweaters and your fuzzy boots was pretty cool, stylish even. But as winter dragged on, those layers of clothes became heavy and quite the burden. You are stoked to lose the winter duds and feel freer in shorts and a t-shirt. The cold season means that every time you arrive at your destination, you have to check the mirror real quick and fix up your hair. Your hair is always a mess in the winter for two reasons: Hats and wind. In the summer, your hair is never a problem because there is no need for your beanie to keep your ears warm and no howling, icy wind blowing your hair all out of whack. Summer is the season when you can enjoy your music the way it was meant to be enjoyed; with the sun on your face and a cold drink in your hand. Whether in a stadium or a park, an outdoor concert gives off a relaxing vibe you just don’t get in any indoor space. Not only that, summer is the time of year when all of the best bands tour. If you recall, there wasn’t a day when you didn’t wear a pair of thick socks last winter, you even wore socks to bed to keep your feet somewhat warm. But not in the summer. Flash that ankle. You don’t buy much stuff, but you do hit the garage sales whenever you can in the summer. There is just some sort of charm about digging through other people’s junk that feels good. Sure, there are some pretty good movies that come out around the holidays, but all of the blockbusters wait for a summer release. Many of you might be a bit put off by the smell of chlorine, but there is something unmistakably familiar about that smell. It is a total summer smell. And you never smell sunblock in the winter. The air in your home is so stale that even the dog is over it. Allowing a breeze to sail through your house is therapeutic, magic even. Let’s get real here, ice cream is good any time of year, but somehow just tastes better in the summer. In the winter, it’s dark when you drive to work in the morning and dark when you drive home from work in the evening. But in the summer, it is light out as late as your bedtime. Which gives you plenty of time to go boating after work. Order your boat diving board from Lillipad Marine today.